Read this extraordinary, frank and far reaching interview in full here. This interview with Pope Francis took place over the course of three meetings during August 2013 in Rome. The interview was conducted in person by Antonio Spadaro, S.J., editor in chief of La Civilt� Cattolica, the Italian Jesuit journal. Father Spadaro conducted the interview on behalf of La Civilt� Cattolica, Thinking Faith, America and several other major Jesuit journals around the world. The editorial teams at each of the journals prepared questions and sent them to Father Spadaro, who then consolidated and organised them. The interview was conducted in Italian. After the Italian text was officially approved, a team of five independent experts were commissioned to produce the English translation, which is also published by America. The setting is simple, austere. The workspace occupied by the desk is small. I am impressed not only by the simplicity of the furniture, but also by the objects in the room. There are only a few. These include an icon of St. Francis, a statue of Our Lady of Luj�n, patron saint of Argentina, a crucifix and a statue of St. Joseph sleeping. The spirituality of Jorge Mario Bergoglio is not made of “harmonised energies,” as he would call them, but of human faces: Christ, St. Francis, St. Joseph and Mary. The pope speaks of his trip to Brazil. He considers it a true grace, that World Youth Day was for him a “mystery.” He says that he is not used to talking to so many people: “I can look at individual persons, one at a time, to come into contact in a personal way with the person I have before me. I am not used to the masses,” the pope remarks. He also speaks about the moment during the conclave when he began to realise that he might be elected pope. At lunch on Wednesday, March 13, he felt a deep and inexplicable inner peace and comfort come over him, he said, along with a great darkness. And those feelings accompanied him until his election later that day. Pope Francis continues his reflection and says, jumping to another topic: “I do not know Rome well. I know a few things. These include the Basilica of St. Mary Major; I always used to go there. I know St. Mary Major, St. Peter’s…but when I had to come to Rome, I always stayed in [the neighbourhood of] Via della Scrofa. From there I often visited the Church of St. Louis of France, and I went there to contemplate the painting of ‘The Calling of St. Matthew,’ by Caravaggio. “Discernment,” he replies. “Discernment is one of the things that worked inside St. Ignatius. For him it is an instrument of struggle in order to know the Lord and follow him more closely. I was always struck by a saying that describes the vision of Ignatius: non coerceri a maximo, sed contineri a minimo divinum est (“not to be limited by the greatest and yet to be contained in the tiniest – this is the divine”). I thought a lot about this phrase in connection with the issue of different roles in the government of the church, about becoming the superior of somebody else: it is important not to be restricted by a larger space, and it is important to be able to stay in restricted spaces. This virtue of the large and small is magnanimity. Thanks to magnanimity, we can always look at the horizon from the position where we are. That means being able to do the little things of every day with a big heart open to God and to others. That means being able to appreciate the small things inside large horizons, those of the kingdom of God. “This motto,” the pope continues, “offers parameters to assume a correct position for discernment, in order to hear the things of God from God’s ‘point of view.’ According to St. Ignatius, great principles must be embodied in the circumstances of place, time and people. In his own way, John XXIII adopted this attitude with regard to the government of the church, when he repeated the motto, ‘See everything; turn a blind eye to much; correct a little.’ John XXIII saw all things, the maximum dimension, but he chose to correct a few, the minimum dimension. You can have large projects and implement them by means of a few of the smallest things. Or you can use weak means that are more effective than strong ones, as Paul also said in his First Letter to the Corinthians. Discernment is therefore a pillar of the spirituality of Pope Francis. It expresses in a particular manner his Jesuit identity. I ask him then how the Society of Jesus can be of service to the church today, what are its characteristics, but also the possible challenges facing the Society of Jesus. The pope is referring to the requirement in the Constitutions of the Society of Jesus that the Jesuit must “manifest his conscience,” that is, his inner spiritual situation, so that the superior can be more conscious and knowledgeable about sending a person on mission. The pope is referring to a compendium, made for practical purposes, that came to be seen as a replacement for the Constitutions. The formation of Jesuits for some time was shaped by this text, to the extent that some never read the Constitutions, the foundational text. During this period, in the pope’s view, the rules threatened to overwhelm the spirit, and the Society yielded to the temptation to explicate and define its charism too narrowly. Pope Francis continues: “No, the Jesuit always thinks, again and again, looking at the horizon toward which he must go, with Christ at the centre. This is his real strength. And that pushes the Society to be searching, creative and generous. So now, more than ever, the Society of Jesus must be contemplative in action, must live a profound closeness to the whole church as both the ‘people of God’ and ‘holy mother the hierarchical church.’ This requires much humility, sacrifice and courage, especially when you are misunderstood or you are the subject of misunderstandings and slanders, but that is the most fruitful attitude. Let us think of the tensions of the past history, in the previous centuries, about the Chinese rites controversy, the Malabar rites and the Reductions in Paraguay. I am wondering if there are figures among the Jesuits, from the origins of the Society to the present date, that have affected him in a particular way, so I ask the pope who they are and why. He begins by mentioning Ignatius Loyola [founder of the Jesuits] and Francis Xavier, but then focuses on a figure who is not as well known to the general public: Peter Faber (1506-46), from Savoy. He was one of the first companions of St. Ignatius, in fact the first, with whom he shared a room when the two were students at the University of Paris. The third roommate was Francis Xavier. Pius IX declared Faber blessed on September 5, 1872, and the cause for his canonisation is still open. The pope cites an edition of Faber’s works, which he asked two Jesuit scholars, Miguel A. Fiorito and Jaime H. Amadeo, to edit and publish when he was provincial superior of the Jesuits in Argentina. An edition that he particularly likes is the one by Michel de Certeau. I ask the pope why he is so impressed by Faber. Michel de Certeau characterised Faber simply as “the reformed priest,” for whom interior experience, dogmatic expression and structural reform are inseparable. The pope then continues with a reflection on the true face of the founder of the Society. “I say these things from life experience and because I want to make clear what the dangers are. Over time I learned many things. The Lord has allowed this growth in knowledge of government through my faults and my sins. So as Archbishop of Buenos Aires, I had a meeting with the six auxiliary bishops every two weeks, and several times a year with the council of priests. They asked questions and we opened the floor for discussion. This greatly helped me to make the best decisions. But now I hear some people tell me: ‘Do not consult too much, and decide by yourself.’ Instead, I believe that consultation is very important. “The people itself constitutes a subject. And the church is the people of God on the journey through history, with joys and sorrows. Thinking with the church, therefore, is my way of being a part of this people. And all the faithful, considered as a whole, are infallible in matters of belief, and the people display this infallibilitas in credendo, this infallibility in believing, through a supernatural sense of the faith of all the people walking together. This is what I understand today as the ‘thinking with the church’ of which St. Ignatius speaks. When the dialogue among the people and the bishops and the pope goes down this road and is genuine, then it is assisted by the Holy Spirit. So this thinking with the church does not concern theologians only. After a brief pause, Pope Francis emphasises the following point, in order to avoid misunderstandings: “And, of course, we must be very careful not to think that this infallibilitas of all the faithful I am talking about in the light of Vatican II is a form of populism. No; it is the experience of ‘holy mother the hierarchical church,’ as St. Ignatius called it, the church as the people of God, pastors and people together. The church is the totality of God’s people. “I see the sanctity of God’s people, this daily sanctity,” the pope continues. “There is a ‘holy middle class,’ which we can all be part of, the holiness Mal�gue wrote about.” The pope is referring to Joseph Mal�gue, a French writer (1876–1940), particularly to the unfinished trilogy Black Stones: The Middle Classes of Salvation. “I see the holiness,” the pope continues, “in the patience of the people of God: a woman who is raising children, a man who works to bring home the bread, the sick, the elderly priests who have so many wounds but have a smile on their faces because they served the Lord, the sisters who work hard and live a hidden sanctity. This is for me the common sanctity. I often associate sanctity with patience: not only patience as hypomon� [the New Testament Greek word], taking charge of the events and circumstances of life, but also as a constancy in going forward, day by day. This is the sanctity of the militant church also mentioned by St. Ignatius. This was the sanctity of my parents: my dad, my mom, my grandmother Rosa who loved me so much. In my breviary I have the last will of my grandmother Rosa, and I read it often. For me it is like a prayer. She is a saint who has suffered so much, also spiritually, and yet always went forward with courage. “This church with which we should be thinking is the home of all, not a small chapel that can hold only a small group of selected people. We must not reduce the bosom of the universal church to a nest protecting our mediocrity. And the church is Mother; the church is fruitful. It must be. You see, when I perceive negative behaviour in ministers of the church or in consecrated men or women, the first thing that comes to mind is: ‘Here’s an unfruitful bachelor’ or ‘Here’s a spinster.’ They are neither fathers nor mothers, in the sense that they have not been able to give spiritual life. Instead, for example, when I read the life of the Salesian missionaries who went to Patagonia, I read a story of the fullness of life, of fruitfulness. “I see clearly,” the pope continues, “that the thing the church needs most today is the ability to heal wounds and to warm the hearts of the faithful; it needs nearness, proximity. I see the church as a field hospital after battle. It is useless to ask a seriously injured person if he has high cholesterol and about the level of his blood sugars! You have to heal his wounds. Then we can talk about everything else. Heal the wounds, heal the wounds…. And you have to start from the ground up. “How are we treating the people of God? I dream of a church that is a mother and shepherdess. The church’s ministers must be merciful, take responsibility for the people and accompany them like the good Samaritan, who washes, cleans and raises up his neighbour. This is pure Gospel. God is greater than sin. The structural and organisational reforms are secondary� – that is, they come afterward. The first reform must be the attitude. The ministers of the Gospel must be people who can warm the hearts of the people, who walk through the dark night with them, who know how to dialogue and to descend themselves into their people’s night, into the darkness, but without getting lost. The people of God want pastors, not clergy acting like bureaucrats or government officials. The bishops, particularly, must be able to support the movements of God among their people with patience, so that no one is left behind. But they must also be able to accompany the flock that has a flair for finding new paths. I ask the pope what he thinks of the dicasteries of the Roman Curia, the various departments that assist the pope in his mission. “What I said in Rio referred to the time in which we seek God,” he answers. “In fact, there is a temptation to seek God in the past or in a possible future. God is certainly in the past because we can see the footprints. And God is also in the future as a promise. But the ‘concrete’ God, so to speak, is today. For this reason, complaining never helps us find God. The complaints of today about how ‘barbaric’ the world is – these complaints sometimes end up giving birth within the church to desires to establish order in the sense of pure conservation, as a defence. No: God is to be encountered in the world of today. “God manifests himself in historical revelation, in history. Time initiates processes, and space crystallises them. God is in history, in the processes. “We must not focus on occupying the spaces where power is exercised, but rather on starting long-run historical processes. We must initiate processes rather than occupy spaces. God manifests himself in time and is present in the processes of history. This gives priority to actions that give birth to new historical dynamics. And it requires patience, waiting. The pope replies: “Yes, in this quest to seek and find God in all things there is still an area of uncertainty. There must be. If a person says that he met God with total certainty and is not touched by a margin of uncertainty, then this is not good. For me, this is an important key. If one has the answers to all the questions – that is the proof that God is not with him. It means that he is a false prophet using religion for himself. The great leaders of the people of God, like Moses, have always left room for doubt. You must leave room for the Lord, not for our certainties; we must be humble. Uncertainty is in every true discernment that is open to finding confirmation in spiritual consolation. I am struck by the reference the pope just made to Puccini’s “Turandot” while speaking of the mystery of hope. I would like to understand better his artistic and literary references. I remind him that in 2006 he said that great artists know how to present the tragic and painful realities of life with beauty. So I ask who are the artists and writers he prefers, and if they have something in common. “I have really loved a diverse array of authors. I love very much Dostoevsky and H�lderlin. I remember H�lderlin for that poem written for the birthday of his grandmother that is very beautiful and was spiritually very enriching for me. The poem ends with the verse, ‘May the man hold fast to what the child has promised.’ I was also impressed because I loved my grandmother Rosa, and in that poem H�lderlin compares his grandmother to the Virgin Mary, who gave birth to Jesus, the friend of the earth who did not consider anybody a foreigner. “I have read The Betrothed, by Alessandro Manzoni, three times, and I have it now on my table because I want to read it again. Manzoni gave me so much. When I was a child, my grandmother taught me by heart the beginning of The Betrothed: ‘That branch of Lake Como that turns off to the south between two unbroken chains of mountains….’ I also liked Gerard Manley Hopkins very much. “Among the great painters, I admire Caravaggio; his paintings speak to me. But also Chagall, with his ‘White Crucifixion.’ Among musicians I love Mozart, of course. The ‘Et incarnatus est’ from his Mass in C minor is matchless; it lifts you to God! I love Mozart performed by Clara Haskil. Mozart fulfils me. But I cannot think about his music; I have to listen to it. I like listening to Beethoven, but in a Promethean way, and the most Promethean interpreter for me is Furtw�ngler. And then Bach’s Passions. The piece by Bach that I love so much is the ‘Erbarme Dich,’ the tears of Peter in the ‘St. Matthew Passion.’ Sublime. Then, at a different level, not intimate in the same way, I love Wagner. I like to listen to him, but not all the time. The performance of Wagner’s ‘Ring’ by Furtw�ngler at La Scala in Milan in 1950 is for me the best. But also the ‘Parsifal’ by Knappertsbusch in 1962. “We should also talk about the cinema. ‘La Strada,’ by Fellini, is the movie that perhaps I loved the most. I identify with this movie, in which there is an implicit reference to St. Francis. I also believe that I watched all of the Italian movies with Anna Magnani and Aldo Fabrizi when I was between 10 and 12 years old. Another film that I loved is ‘Rome, Open City.’ I owe my film culture especially to my parents who used to take us to the movies quite often. I ask the pope about teaching literature to his secondary school students. During a visit by the fathers and staff of La Civilt� Cattolica, the pope had spoken about the importance of the triad “dialogue, discernment, frontier.” And he insisted particularly on the last point, citing Paul VI and what he had said in a famous speech about the Jesuits: “Wherever in the church – even in the most difficult and extreme fields, in the crossroads of ideologies, in the social trenches – there has been and is now conversation between the deepest desires of human beings and the perennial message of the Gospel, Jesuits have been and are there.” I ask Pope Francis what should be the priorities of journals published by the Society of Jesus. I ask for examples from his personal experience. The pope comments: “St. Vincent of Lerins makes a comparison between the biological development of man and the transmission from one era to another of the deposit of faith, which grows and is strengthened with time. Here, human self-understanding changes with time and so also human consciousness deepens. Let us think of when slavery was accepted or the death penalty was allowed without any problem. So we grow in the understanding of the truth. Exegetes and theologians help the church to mature in her own judgment. Even the other sciences and their development help the church in its growth in understanding. There are ecclesiastical rules and precepts that were once effective, but now they have lost value or meaning. The view of the church’s teaching as a monolith to defend without nuance or different understandings is wrong. “After all, in every age of history, humans try to understand and express themselves better. So human beings in time change the way they perceive themselves. It’s one thing for a man who expresses himself by carving the ‘Winged Victory of Samothrace,’ yet another for Caravaggio, Chagall and yet another still for Dal�. Even the forms for expressing truth can be multiform, and this is indeed necessary for the transmission of the Gospel in its timeless meaning. “Humans are in search of themselves, and, of course, in this search they can also make mistakes. The church has experienced times of brilliance, like that of Thomas Aquinas. But the church has lived also times of decline in its ability to think. For example, we must not confuse the genius of Thomas Aquinas with the age of decadent Thomist commentaries. Unfortunately, I studied philosophy from textbooks that came from decadent or largely bankrupt Thomism. In thinking of the human being, therefore, the church should strive for genius and not for decadence. I ask Pope Francis about his preferred way to pray. “I pray the breviary every morning. I like to pray with the psalms. Then, later, I celebrate Mass. I pray the Rosary. What I really prefer is adoration in the evening, even when I get distracted and think of other things, or even fall asleep praying. 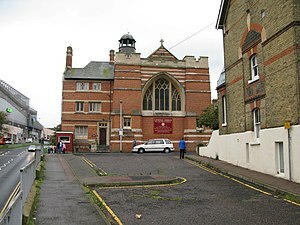 In the evening then, between seven and eight o’clock, I stay in front of the Blessed Sacrament for an hour in adoration. But I pray mentally even when I am waiting at the dentist or at other times of the day. Antonio Spadaro, S.J., is the editor in chief of La Civilt� Cattolica, a journal published in Rome by the Society of Jesus since 1850. The translators were: Massimo Faggioli, Sarah Christopher Faggioli, Dominic Robinson, S.J., Patrick J. Howell, S.J., and Griffin Oleynick. A ‘pick and mix’ attitude does not work in matters of faith. Pope Francis said Christians cannot receive consolation from both the Holy Spirit and the spirit of the world if they want to be saved. “You cannot serve two masters, you either serve the Lord or you serve the spirit of this world; we cannot pick and mix,” Pope Francis said at the chapel of Saint Martha’s House. The Pope said that salvation is to live “in the consolation of the Holy Spirit, not the consolation of the spirit of this world,” which he called a sin. “Salvation is moving forward and opening our hearts so they can receive the Holy Spirit’s consolation, which is salvation,” the Pope said. “This is non-negotiable, you can’t take a bit from here and a bit from there,” he insisted. Pope Francis made his comments based on the day’s readings, 2 Corinthians 1 and Matthew 5. He explained that Saint Paul uses the word “consolation” several times in first reading. “He speaks to Christians who are young in the faith, people who have recently begun to follow the path of Jesus,” the pontiff recalled. “Consolation is the presence of God in our hearts, but we must open the door and his presence requires our conversion,” he explained. Pope Francis then linked the first reading to the Gospel reading, which recalls when Jesus gives the beatitudes in his Sermon on the Mount. He explained that the beatitudes are the “law of the free” and that they “would seem silly” if we did not open our hearts to the Holy Spirit. “Just look, being poor, being meek, being merciful will hardly lead us to success,” he commented. “If we do not have an open heart and if we have not experienced the consolation of the Holy Spirit, which is salvation, we cannot understand this,” he added. Pope Francis said he believes people’s hearts are closed to salvation because they are afraid of it and people want to stay in control of themselves. “In order to understand these new commandments, we need the freedom that is born of the Holy Spirit, who saves us, who comforts us and is the giver of life,” he preached. “The freedom of the Spirit, which the Spirit gives us, is also a kind of slavery, of being enslaved to the Lord which makes us free, it is another freedom,” said the Pope. “Instead, our freedom is only slavery, but not to the Lord, but to the spirit of the world,” he said of the mankind’s concept of freedom. The president and undersecretary of the Pontifical Council for the Laity, Cardinal Stanislaw Rylko and Bishops Josef Clemens, as well as Indian Archbishop George Valiamattam of Tellicherry, concelebrated the Mass. A group of priests and collaborators of the Pontifical Council for the Laity also attended the Eucharistic celebration. Corrupt Christians cause grave harm to Church, says Pope…. Be a worshipper of the Lord, not yourself, he urges. “Corrupt” Christians cause grave damage to the Church, Pope Francis said at Mass this morning [Monday June 3]. In his homily in the chapel of his residence, the Domus Sanctae Marthae, he said there were “three types of Christians in the Church: sinners, the corrupt and saints”. Reflecting on the Parable of the Tenants in today’s readings, he said that the corrupt were represented by those in the parable who want to “take possession of the vineyard and have lost their relationship with the Lord of the vineyard”. 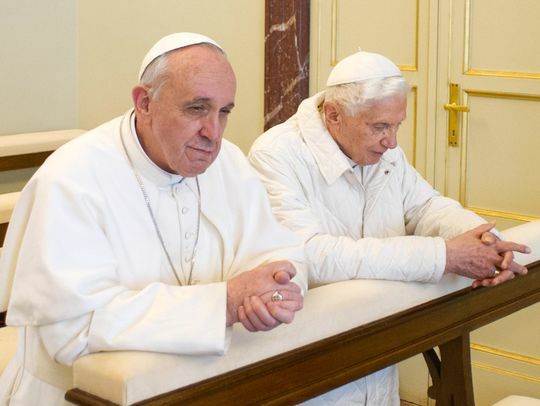 Comments Off on Corrupt Christians cause grave harm to Church, says Pope…. “Blessed are Those Who are Persecuted for Their Righteousness,for Theirs is Kingdom of Heaven” A Very Cryptic, Precise & Meaningful Theme in This Year of The Faith. REAL POWER IS SERVICE, WE ARE HERE NOT BE SERVED, BUT TO SERVE.!! We are not overwhelmed, and whilst thirsting for more than satisfaction, we awake our community with the inspired knowledge that “ Your Life is a Gift ” Awake ! Do not be PART-TIME CHRISTIANS, helping others (Bishops & Clergy) to build their Dreams rather than Yours.!! 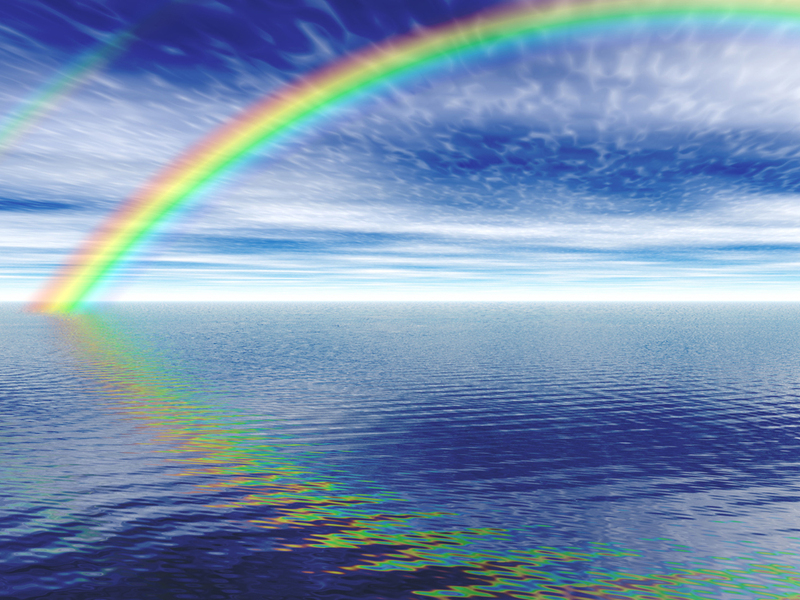 “ If you want the RAINBOW, you have to put up with the RAIN ”. DON’T LIMIT YOUR CHALLENGES BUT CHALLENGE YOUR LIMITS. The credit of this achievement certainly goes to the entire team of SILENT VOICE, who is dedicatedly working behind the scene; and to you all, the readers, who have been following SILENT VOICE ardently. On achievement of this milestone, let us look back and glance at our starting point…..19th, October, 2011; when it all began; reposting the same to revive the nostalgia. We assure you of many such milestones, because, we intend to cleanse the creation of Lord Jesus Christ, our MOTHER CHURCH, of CORRUPT PRACTICES, and drive away the MONEY CHANGERS from temple of God. the seats of those who sold doves. The quote is in response to the changes you see here, and in title of the letters, sent to Archbishop, H. E. Cardinal Oswald Gracias. The reason for these changes has been clarified in the last issue of VOICEMAIL, 015/2011, dated 29/09/2011. No it is not a new title. Some time ago, we had embarked on a journey to a particular destination, with the name, VOICE OF A SILENT MAJORITY (Remember the Book)? On its way, People went on embarking this train, with good intentions. Unfortunately, few came onboard with their personal baggage, stalling the journey for a while and causing inconvenience. Fortunately, their intentions were exposed at the right moment. However, the train has now begun its journey, with the same old name, cruising zealously, toward its destination. The destination called; Cleansing of our Church Administration of corrupt practices; helping Archbishop, H. E. Cardinal Oswald Gracias, in his efforts to do so. We have received favourable responses to this change. Those who still wish to join this journey, please do so. Please remember, the vacuum, created because of your absence, will bring in unhealthy elements, and occupy the space; as it was evident. Dear Friends, It is well-known; The Parish Priests do not like their authority to be questioned. It could have happened with many of you, or with some persons you know, within your parish. The persistent ones are silenced, using various methods; So that the Parish Priests can go ahead with their nefarious activities, using their SOLE TRUSTEE powers, particularly related to Properties and Finances. The attached letter to Archbishop, Cardinal Oswald Gracias, contains some examples, adopted by Parish Priests, to silence the dissenting voices. We therefore, call upon you to discard your fear and speak out boldly, against mismanagement of Properties and Finances, by Parish Priests. Your Silence, out of fear, is taken by these parish priests as your consent, to whatever they do. Remember friends, by Voicing your opposition to unhealthy activities, You do not go against the Mother Church, as prorogated by some members of clergy, but in fact, help in cleansing the rot within the Church administration. Even the Cardinal has accepted that there is nothing wrong in it. Dear friends, we are pleased to inform you that Defamation case, filed against the Archbishop, Cardinal Oswald Gracias, has been quashed by the honourable Court. While going through the depositions of the ongoing Archdiocese Inquiry Commission, in connection with St Anthony’s Church, Malwani; I came across a letter (Exhi. L, Pg.77 to 79) Signed by The parish Priest and Trustee, Fr. Ajit Bandekar, among others. I shall request Fr. Michael Goveas, the Convener of AEC, through the copy of this letter, to pass on the letter (Exhi. L) for your scrutiny. The letter describes various issues related to AEC. Besides, it states; “NO PLOT HAS BEEN SOLD BY US TO ANY PARTY, irrespective of claims made by various unscrupulous elements.” I have given my response to it in my deposition to AEC, and sought a public apology, particularly from the Parish Priest, Fr. Ajit Bandekar. I take liberty, with your permission, to copy down the extracts from AEC depositions. Your Eminence, I do not wish to dictate, as to what I expect you to do in this context. The purpose of this letter is to highlight the anomalies prevailing within Parish Administrations. Attempt is always made to snuff any voice, raised against Unhealthy practices of Parish Priests, by maligning the person. It is a common practice all over within Archdiocese, barring an exception or so. In this case, if it was not on paper, it would be difficult for me to defend myself, because one can’t respond to whispering tongues. Ø The Parish Priest of OUR LADY OF EGYPT CHURCH, KALINA, made a Special announcement from sacred pulpit, denouncing the parishioners, calling them ‘DESTRUCTIVE ELEMENTS, spreading FALSE, CORRUPT AND WRONG INFORMATION about Parish Church and the Clergy; ‘Just because they were carrying out a signature campaign, against the installation of plaques, in the name of a politician, within precincts of the Church. This message was also put up on the notice board as SPECIAL ANNOUNCEMENT. Your Eminence, Is it wrong, on part of parishioners to voice their opposition to glorification of a Politician, by putting up multiple plaques in his name? Ø Just recently, the parishioners, of OUR LADY OF REMEDY CHURCH, POINSUR; who opposed the sale of church land, are being targeted and humiliated, by cronies of the Parish Priest Fr. Peter D’mello. So believe the parishioners. Have these parishioners erred in anyway, in opposing the sale of Church land? We believe, not. Why then, they are being made to face humiliation? We request you to put a stop to this. Ø One of my relative had received a letter signed by “ANIMATORS”, asking him to stop me, from writing letters to Bishops. The letter also contained some threatening matter. The relative did not want to pursue the matter further, out of fear perhaps. I feel hard to believe, the ANIMATORS could muster such courage. The matter was recently brought to my notice. Your Eminence, This is the method adopted by some members of the Clergy, particularly the Parish Priests, who are having Vested Interest. They use the authority as SOLE TRUSTEE, for personal gains, and their PASTORAL POSITION to intimidate and instill fear in the minds of people, to silence the dissenting voice. Your Eminence, do you approve these threatening tactics by so called people of GOD, who are supposed to preach Christian Values of Honesty, Love and Peace to all? Do you expect that people should live in fear, and not Voice their opinion, against injustice and corruption? You decide. Your Eminence, we have said it before, The SOLE TRUSTEE norm is malaise to Church Administration; and it must be abolished immediately. Your argument that property committee members are part of the Laity; Therefore, the SOLE TRUSTEE alone, is not responsible, has been contested by me personally during one of the meetings with you, and through various letters. It is well known as to how these members are handpicked by parish priests. Of course there could be some exceptions. The parishioners of St. Anthony’s Church, Malwani, and I have asked some questions related to credentials of property committee members; we have yet to get a response from parish priest. Returning to AEC, your eminence, I am quite satisfied with the process so far; except, I was not provided the copies of depositions, to which I was supposed to respond, on the ground of secrecy. I had to spend around eight hours to copy the matter manually. It is disadvantageous to complainant to respond, without the matter, to which he is suppose to respond. I suggest, this be reviewed in order to avoid unfair advantage. I am looking forward to the result of the AEC, and hope the action will be fair and transparent, in order to establish faith of lay persons, in these Commissions. Yours always, in Our LORD JESUS CHRIST. Copy to: Fr. Michael Goveas: To provide copy of the letter, (Exhibit L, Pg. 77 to 79); to H. E. the Cardinal. MUMBAI: In a reprieve for the archbishop of Mumbai Cardinal Oswald Gracias, the Bombay high court has quashed and set aside criminal proceedings initiated by a magistrate on a defamation complaint filed by a lawyer. On September 21, 2011, Justice K U Chandiwal heard an application filed by Gracias, Fr Anthony Charanghat, the editor of church weekly ‘The Examiner’, and Mumbai archdiocese spokesperson Fr Savio Fernandes to quash process issued on July 5, 2011 by metropolitan magistrate 18th Girgaum court. 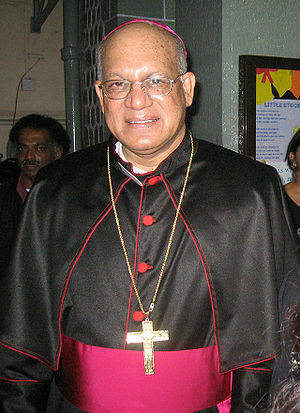 A tabloid carried an article pertaining to some church land in Marinagar, Mahim, and quoted advocate Arcanjo Sodder. Finding it objectionable, Fr Fernandes sent a clarification to the tabloid, which did not publish it. The clarification was carried in ‘The Examiner’. Sodder moved a magistrate’s court saying the first part of the clarification was defamatory. The magistrate directed issue of process saying that prima facie, a defamation case is made out. Church’s counsel Joaquim Reis argued that it was a clarification by way of truth and hence, cannot amount to defamation. Justice Chandiwal said the clarification need not be read in isolation. The judge noted that after Sodder wrote to the weekly, it published a clarification expressing regret and he “should have been satisfied”. Does Power Struggle prevail in the form of Favouritism, Groupism within Clergy in the Archdiocese of Bombay? It seems obvious from the fact that the favoured ones are given positions which can be termed PLUM in the Corporate language, and the others, particularly the vocal ones, are left in isolation for years together, in one place. Clergy are supposed to be bound by the Oath of Loyalty; But Loyalty to whom, To the Hierarchy or Loyalty to the Church of Lord Jesus Christ? 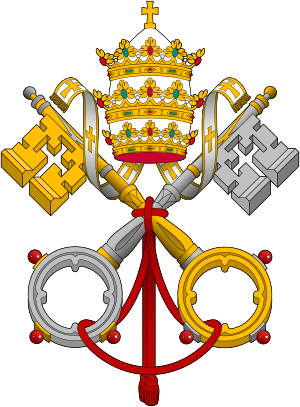 Is Archbishop Cardinal Oswald Gracias, a victim of the power struggle, who is unable to decide on the issues of corruption, related to Properties and Finances, brought to his notice by members of Laity, at various Parishes? Will the Hierarchy heed Pope’s Warning? Pontiff warns against them but admits they have existed since Church began. While acknowledging that power struggles have existed in the Church since it began, Pope Francis said Jesus’ teaching on power leaves no room for them.?? “In the Church the greatest is the one who serves most, the one who is at the service of others,” said Pope Francis on May 21.? ?“This is the rule, yet from the beginning until now there have been power struggles in the Church, even in our manner of speech,” he said in his homily, which was based on the day’s Gospel reading from Mark 9.?? 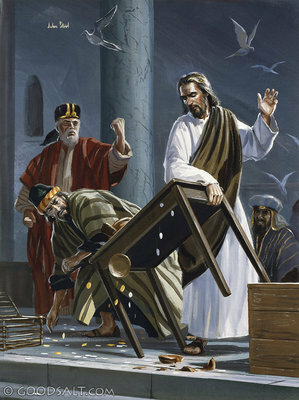 In the reading, Jesus catches the disciples arguing about which of them is the greatest.? ?“In the Gospel of Jesus, the struggle for power in the Church must not exist because true power, that which the Lord by his example has taught us, is the power of service,” said the Pope. But the Pope believes the struggle for power in the Church is “nothing new” and that it first appearing when Jesus was forming his disciples.?? “This verb, to promote, yes, it is a nice verb and one we must use in the Church,” he said. “Yes, he was promoted to the Cross, he was promoted to humiliation,” the Pope remarked.?? “If we do not learn this Christian rule, we will never, ever be able to understand Jesus’ true message on power,” said Pope Francis. “Real power is service as he did, he who came not to be served but to serve, and his service was the service of the Cross,” he said. The pontiff explained that Jesus “humbled himself unto death, even death on a cross for us, to serve us, to save us and there is no other way in the Church to move forward. ”? ?Pope Francis also drove home his point by recalling that Saint Ignatius of Loyola, the founder of his religious order the Jesuits, asked Jesus for the grace of humiliation. “This is the true power of the service of the Church, this is the true path of Jesus, true and not worldly advancement,” said the pontiff.? ?“The path of the Lord is being in his service as he carried out his service, we must follow him, on the path of service, that is the real power in the Church,” he stated.?? The congregation included the president and vice-president of the Focolare Movement, Maria Voce and Giancarlo Faletti, as well as the director of the magazine Civilt� Cattolica, Jesuit Father Antonio Spadaro.? ?Staff from Vatican Radio and the Office of the Vatican City State Governatorate also attended.?? During the prayers of the faithful, Pope Francis prayed for the victims of the tornado that hit the Oklahoma City suburb of Moore on the afternoon of May 20. The twister claimed the lives of at least 91 people, including 20 children.